Sorry can't participate this time. Have out of town company. I will be setting up Friday's Twitter tree since it Black Friday I don't think we want to miss promoting but I won't be participating the rest of this week. I won't participate on Wednesday. Too much to do. Company coming to spend the night for Thanksgiving. To here. Happy Thanksgiving to all with blessings and love. 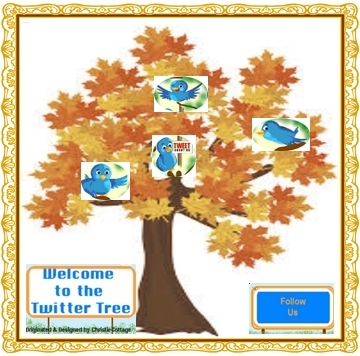 I will be participating in any twitter trees you would like to do. We really need the sales, so that will be my brake time between cleaning and cooking! At least I can sit down for promoting.